What makes up your life? 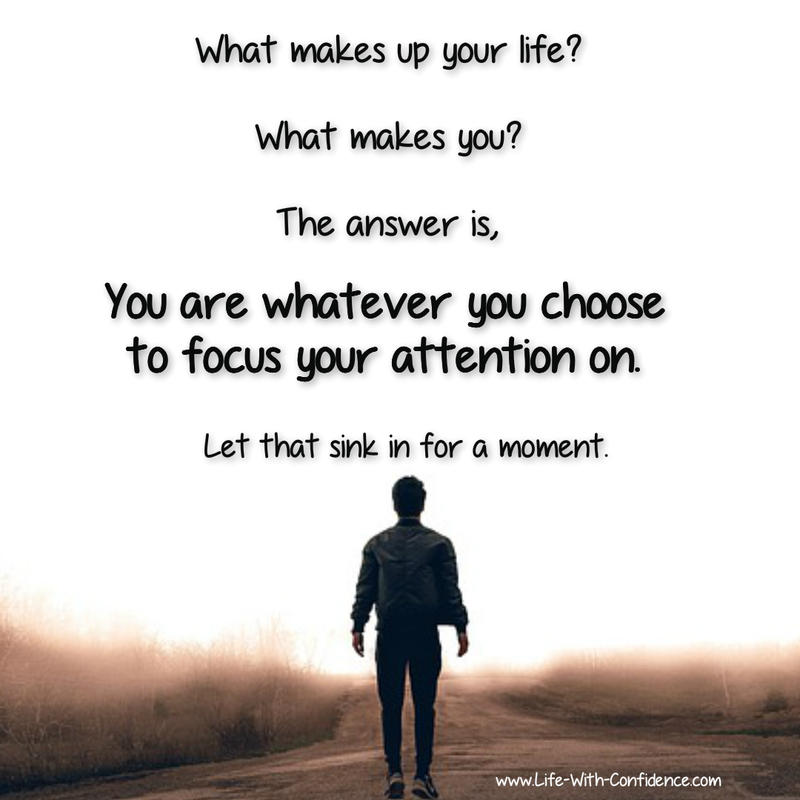 You are whatever you choose to focus your attention on. Let me ask you a different question, are you busy? Do you often think that if you could just get more organized and manage your time better that then you’d get things under control and things would finally be better? Would that make you happy to finally have your life back under control and have some time to breathe? Do you need to learn even more time management tips? Well, the good news is time management isn’t the answer. Time management isn’t the answer because no matter how organized you are, there will always be more to do. Especially in this day and age, there's no way you can completely regain control over everything that is demanding a piece of your time. The answer is attention management. Attention management is simply managing your attention instead of your time. When you're busy, you're probably in that frenetic, always alert, always multi tasking just trying to make it through your chaotic, too much to do, day. This means that usually your attention is very fractured. You jump from thought to thought, task to task, never really going very deep into any one activity. Take a moment and consider what you're focusing on the most during the day. What do you do when you have a spare second or want to relax? Do you check Facebook, Instagram, your emails, the news, surf the web, watch some tv? Are you constantly taking in new information? How often do you wish you had more time to do something more meaningful like write a book or become a better artist or spend more time with certain people but then dismiss it as something you'll do when you have a block of undivided time (which never comes)? How much of your day do you even remember? Do you remember what you did last week? What did you eat for dinner two days ago? How much of your day is spent working on long term goals you have for yourself? How much of your day do you feel completely stressed out because you have too much to do and not enough time? Would you prefer an electrical shock? And, here's one more question to consider. If you were given the choice to sit with your thoughts or receive an electrical shock, which would you choose? In a research study, scientists discovered that instead of being able to sit for about ten minutes without distraction, people chose to electrically shock themselves. Yes, that's how bad it's gotten that we're so completely addicted to distractions and can't stand the thought of being bored or being with our own thoughts for even ten minutes. And, even if you don't think you're so bad that you'd shock yourself to avoid being bored, I bet you can see how fractured you are throughout your day. he sees it as "the biggest single blight on modern life: fractured attention" because we’re the first generation that doesn’t have any idle time. What he means by that is that we're always forcing our brains to receive more and more info. There's never any time when we just sit with our thoughts. Even when we're driving in our cars, we'll have the radio on or will be listening to audio books or audio lessons trying to cram more and more into every second of our day with the belief that this will help us get ahead somehow. And why is that bad? Because, "When we choose busy, we are unchoosing thinking, creativity, and focused attention." But there's much more to it as well. Our bodies and brains were never designed to take in non stop information. When you never allow yourself a moment to just "be", your brain is forced to be in a state of constantly being alert for any new information and there's no time for it to process all that data. And, it's critical that it have time to analyze, ponder, and integrate all the information you've gathered. When you're idle, your brain isn't idle. It's busy reflecting and processing. So, if you never allow your brain the opportunity to go into this state then you're busy with no meaning. You're not able to create long lasting memories because you're not in an aware state of mind. You can't connect with your own emotions on a satisfactory level. In order to be even able to feel happiness or joy, you need to be at a certain level of awareness which you're not when you're fractured. You start to disconnect from yourself because your brain isn't allowed any processing time. You also start disconnecting from others. The more busy you are, the less authentic you are because you have no time for inner processing. You have less wisdom and insight because you're not processing all this information that's been coming in. You'll avoid creating new goals for yourself. Or if you do, you'll find it hard to complete them if they require attentive focus. You'll see fewer possibilities for yourself. 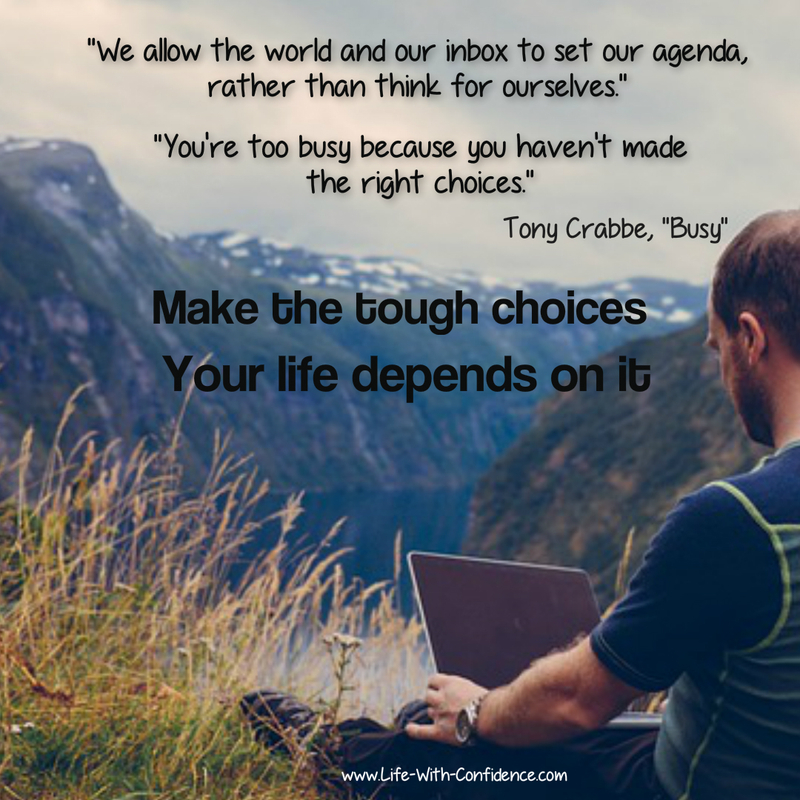 You don't make the tough choices of what's really important so you end up feeling helpless and overwhelmed. Your life is made up of experiences and how you respond to those experiences. So, when you never focus your attention, you're depriving yourself of truly living. 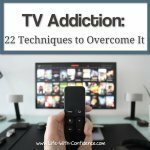 It's Addictive and You're Damaging Your Brain, Permanently. Research shows that when you're constantly multi-tasking, your intelligence goes down and you may also be doing permanent damage to your brain. The fractured state of mind is also very addictive which means that the more you do it, the more you crave it and thus the more damage you do to your brain. One of the reasons, it's so addictive is because every time you switch tasks, the brain releases a chemical which makes you feel good called dopamine so you get a buzz which makes you feel like you're more powerful and effective even though you're not really being effective at all. Being in a fractured state of mind is also far easier to do over deep thinking which is another reason why it's far more attractive and addictive to our minds than deep thinking. Deep thinking requires far more brain energy which is why you find it harder to concentrate if you're hungry. 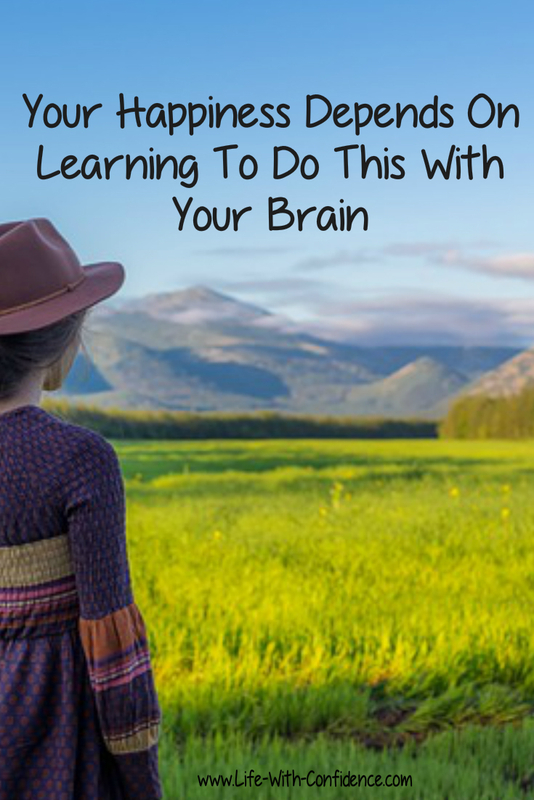 You can see how if the brain isn't able to do it's much needed processing then the consequence is also that you're going to develop an increasing sense of emptiness. And, what do we tend to do when we feel sad or bored or empty? We look for something to distract ourselves or become even more busy and end up making the problem even worse. As Crabbe says, "Our stimulation devices are helping us avoid doing the critical psychological work we need to do to become whole." "If we fail to spend time with our thoughts and worries, we can't learn from them and grow stronger." "If we fail to spend time inside ourselves, we can't become ourselves, in all our possibilities and potential." So, by being constantly busy, you're causing your own increasing feelings of discontent. I'm sure you've heard of being in "the zone" or being in "flow". These are the times when you are so focused on one thing that time flies without you realizing. Being in this state of mind is when happiness can occur. This is also the time when breakthroughs and new ideas will come to you something that can't occur in a fractured state. You will also complete your work far faster than if you continually try to multi-task. Also, think back to the most memorable, enjoyable moment that happened to you last week. It'll absolutely be a moment when you were focusing your attention on something. How many enjoyable moments are you missing out on because you're too fractured to notice? Part of what makes fractured attention so tempting is that it's easy and it also gives you the feeling that you're accomplishing a lot. For example, if you can empty your email inbox, you'll feel like you've been productive. So, you'll choose the many, less important tasks over the one task that will require more concentrated thinking. But in the end, those minor activities are not increasing the enjoyment of your life. They're not increasing your sense of accomplishment either. As Bob Starkey says, "The good news is that every time you complete a major task, you experience a surge of energy, enthusiasm, and self-esteem. You feel terrific about yourself. You feel happy and elated. You feel like a winner." Completing the big task also means that you increase your confidence because you can see progress and you can see what you can accomplish if you actually take the time to focus. So, there's far more benefit to focusing your attention on completing one big task rather than a dozen ultimately meaningless tasks. As Winifred Gallagher says in her book, Rapt: Attention and the Focused Life "By learning to focus, you can improve your concentration, broaden your inner horizons, and most important, feel what it means to be fully alive"
"When you say 'no' to busyness, it's not because you want to stop being busy, it's because you want to become more immersed, more effective, more energized and more connected." There's this belief that if we can do more, we'll achieve more. But, if you're just flitting from one task to another, you're never achieving anything of great consequence. You're focused on getting the small, simple things done rather than anything that requires deeper or more complex thinking. 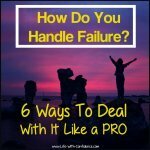 So, you might have answered all your emails but you haven't worked on that more time consuming project which would be much more of an effective use of your time as well as being a positive, life changing activity. So, not only are you becoming more valuable because you can come up with unique and creative ideas to problems, you're also more valuable because you're being more effective with your time. You're also allowing yourself to have meaningful interactions with others because you're present rather than distracted. And, this all ends up leading to a satisfying life which goes back to being happy and contented with yourself. So, the real answer is that it's not that you're too busy, it's that you don't have any more time to waste living in a constantly fractured state of mind. Allowing yourself to get more and more caught up in being fractured, is depriving yourself of the happiness you seek. I can tell you from personal experience that it's horrifying when you first realize how much of your life you've wasted on things that mean nothing. Also, that if you'd just been able to focus, you would have accomplished so much more by now. All the things you've wanted to do with your life, haven't happened and mostly because you couldn't focus on complex tasks. So, the first thing is to realize how much having a constantly fractured attention is costing you in terms of your happiness, your ability to feel joy, your ability to connect to others, your ability to create anything of substance, and even to have the confidence to walk your own path. A fractured attention robs you of a meaningful life. 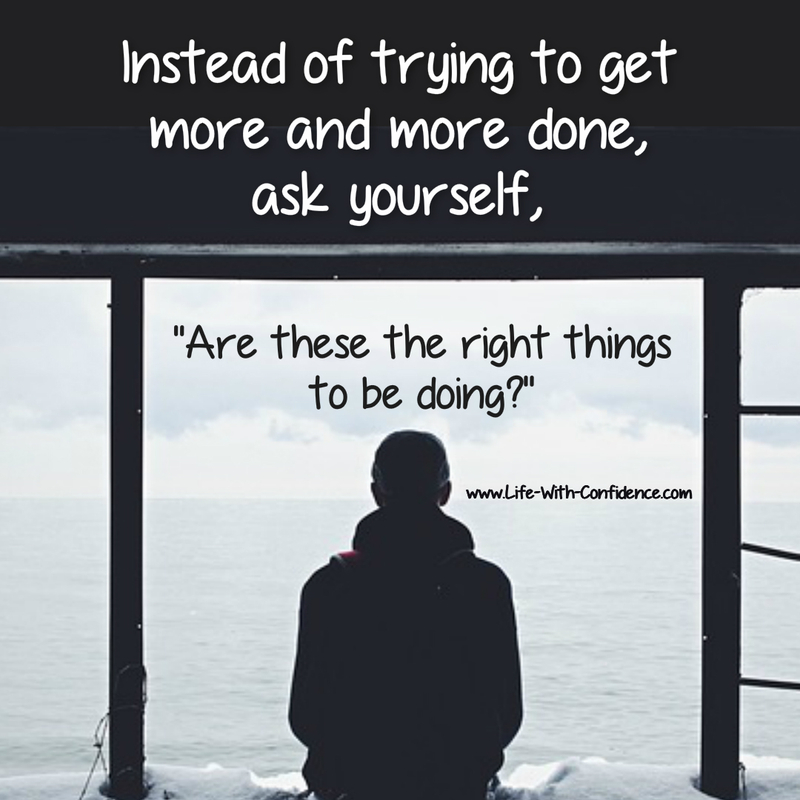 When you first make the decision that yes, you're going to start having more focused attention, it is hard. Really hard. I'm not going to sugar coat that. It's an addiction and as with all addictions, it's hard to change. It takes awareness and hard work and grit perseverance to change your brain from being scattered to being focused. But, to be able to have a life of any meaning at all, you have to do it. You have to make the commitment and start doing something every day, no matter how small, that starts to change your brain. You will also have to be constantly vigilant because it's so easy to slip back into being fractured. Remember: it's always going to be easier to be fractured than to be attentive. Turn off all your notifications and only check your email at certain times during the day. Before you check your email in the morning, write down a list of what you want to work on during the day. Plan your day instead of letting others plan it for you. Keep this morning list to a manageable number of items. Don't try to do everything in one day. Do tasks that require deep thinking earlier in the day and before you do mentally tiring tasks like checking emails. Set up blocks of time when you will only work on one task at a time. Work on one task at a time - don't multi-task. Make the tough choices to decide what you're going to spend your time on. Know that when you choose to do something it means that you're also choosing to NOT do something. Make wise choices. Don't mindlessly fritter your time away. Be aware of what you're spending your time on. Do you really need to play games on your phone? Do you need to check instagram a hundred times a day? Is it necessary to go to that meeting? Allow yourself time to just "be". Every minute of your day does not need to be spent doing something. Travel time can be a good time to just sit with your thoughts. And, when you do things like going for a walk, be present with your surroundings and enjoy it. When you're with someone else, be present with them. Don't be thinking about what else you have to do or be looking at your phone. Choose to let go of the things that don't add to your life. Have the courage to walk your own path instead of being nonstop busy because everyone else is. The busiest person is not the most respected person. Commit to certain things instead of jumping from one activity to another. This means if you sign up for art lessons, you don't suddenly drop them to start surfing because it suddenly seems more interesting. Be completely focused on your task even if it's just washing the dishes. Remove all the distractions you can. Put your phone away where you can't see it, work in a quiet location, turn off extra noise like radios and tv if you're not actively watching them. Removing distractions is easier than resisting distractions. Break your day into chunks of activity instead of trying to do a lot of things all at once. Try to get more sleep. The more tired you are, the less you can concentrate and the less you'll be able to avoid distractions. "Digital clutter is stressful" Cal Newport. Try to eliminate as much as you can. Only use the ones that truly add to your life. The main concept I want you to get from this article is that if you don't become aware of how you're using your attention and then gain control of your attention, you won't be able to achieve happiness. It's that simple. Your life is what you choose to focus on. 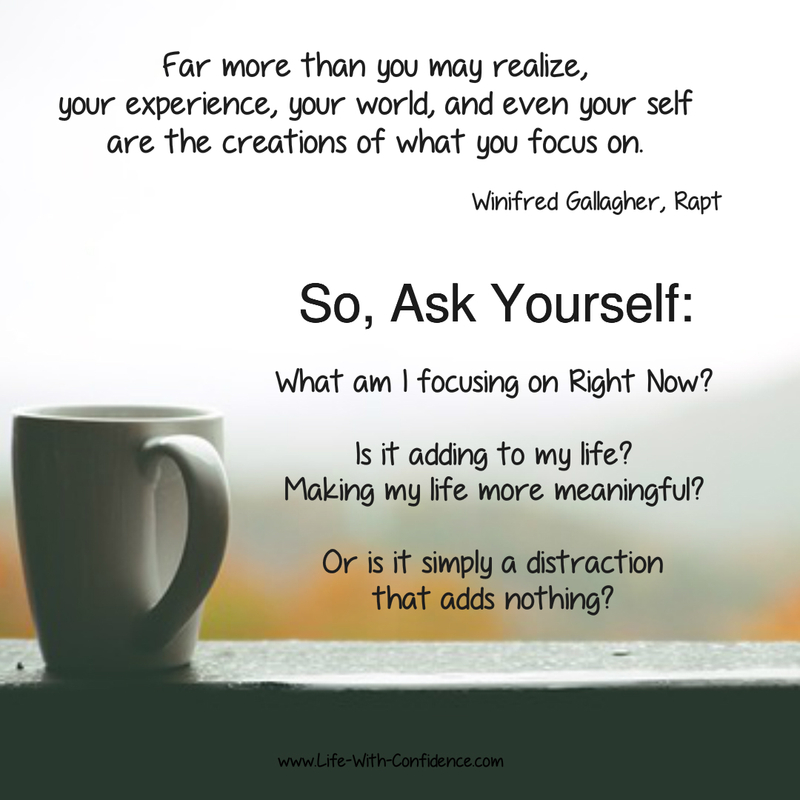 Without focused attention, you'll always be reacting to life instead of choosing your life. You'll also be forever depriving yourself of being able to experience joy and happiness. And, that's a tragedy. Don't let it happen. Start today. Start now. Start managing your attention, not your time. Did You Just Skim This Article? Did you just quickly scan this article and read mostly the headlines, glance at a few images? Are you just about to click from here and find yet another article to read? Take a moment to consider what this article says. If you continue to do what you've been doing, you're agreeing to sacrifice your happiness and to continue to increase your discontent with life. Think about that. Maybe even read the books below. This is your life we're talking about. Don't you deserve to be important enough to pay attention to what you're doing with it? Read Tony Crabbe's fascinating book, Busy: How to Thrive in a World of Too Much for more suggestions on how to become more focused. Winifred Gallagher's book, Rapt: Attention and the Focused Life is also a good one to read. Cal Newport's Deep Work: Rules for Focused Success in a Distracted World is one of the top books on this subject. 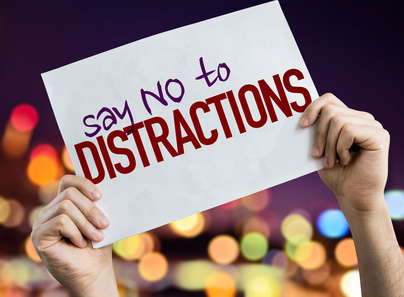 Understanding Distractions - to be able to conquer distractions, you need to understand them first. 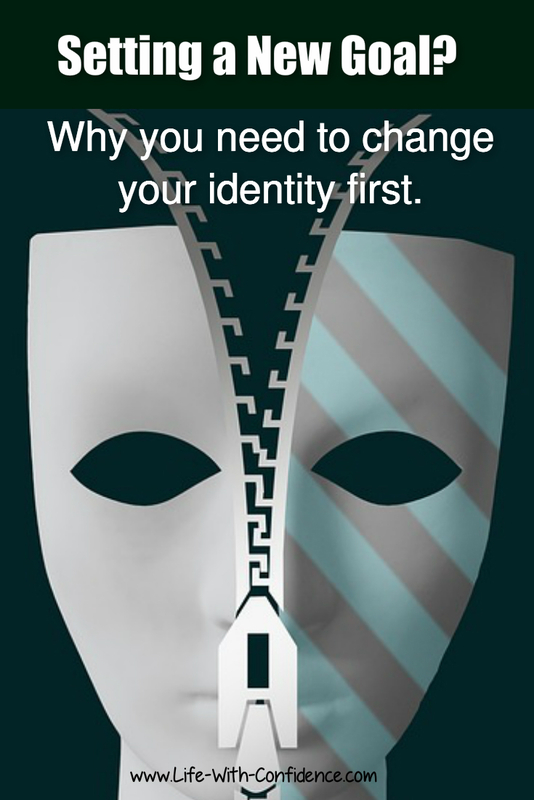 When setting new goals, you'll be far more successful if you do this with your identity first.